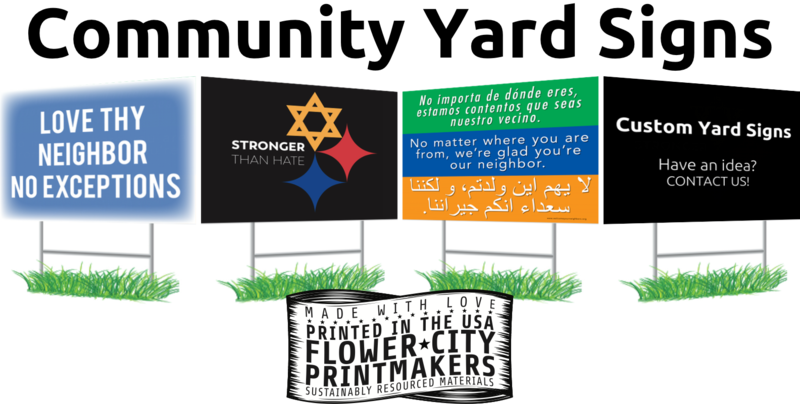 We've been printing community yard signs for years, we're happy to produce these signs and hope they will make a possitive impact on our communities! NOTE: YOU MUST CHECK THE BOX FOR THE ITEM YOU WISH TO PURCHASE. 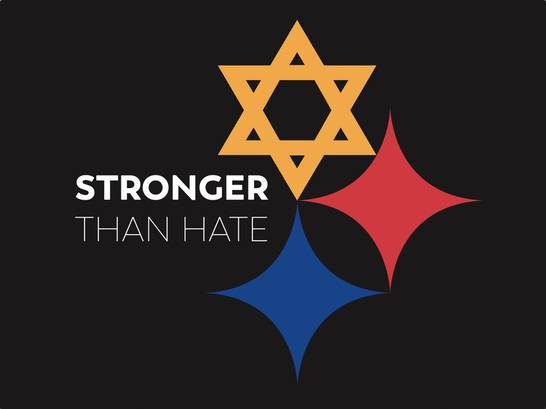 All of us at Flower City Printmakers are deeply saddened by the tragic losses that took place at the Tree of Life Synagogue during the Shabbat services on the last Saturday of October, 2018, located just 2.3 miles from us. 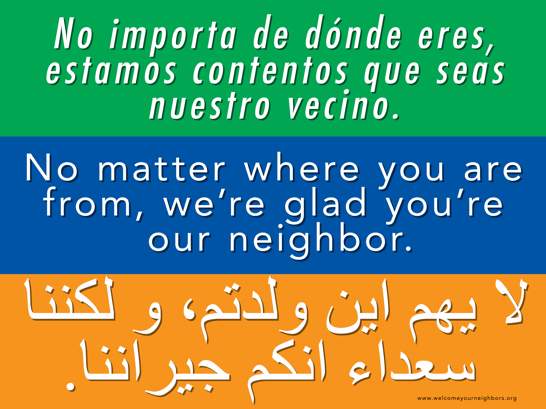 We hope these signs will continue to show the beautiful strength of our community. Please email Josh@FlowerCityPrintmakers.com if you have any questions. 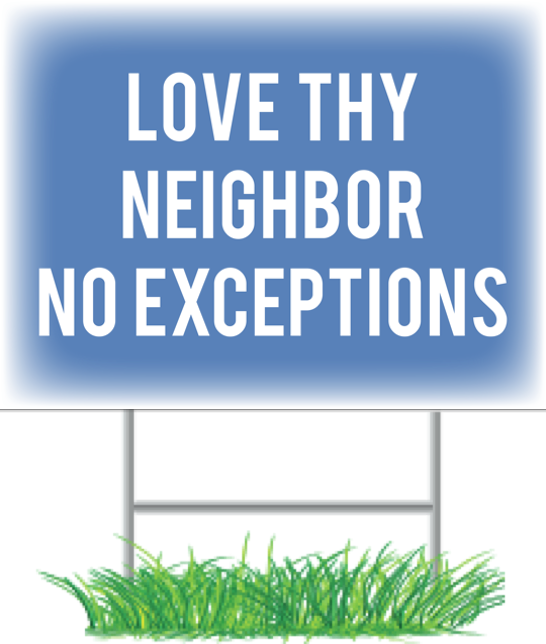 All community yard sign graphics used with permission. 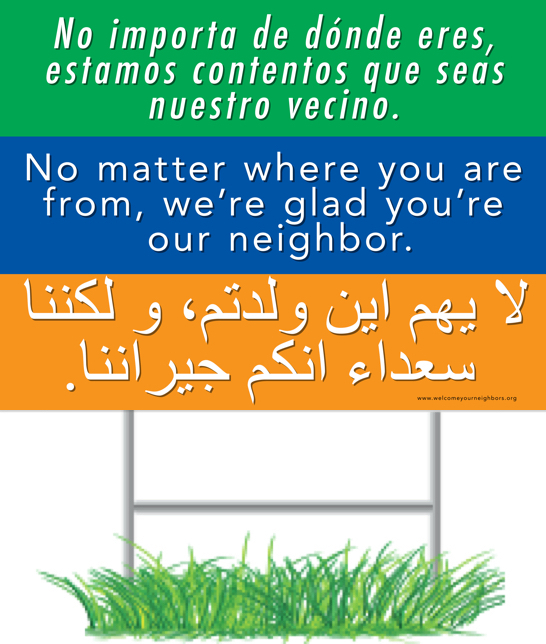 If you have a different graphic you'd like printed, please reach out. 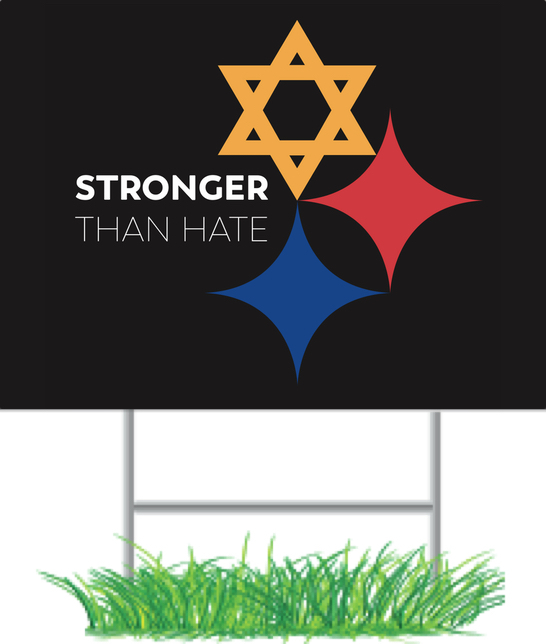 Tim Hindes, creator of the Stronger Than Hate graphic would love to keep tabs on how this symbol is spreading love, so please consider sending images on Twitter to @Thindes, Facebook, or via email at tim@trailblazecreative.com. Read Tim's story by the Pittsburgh Post Gazette.